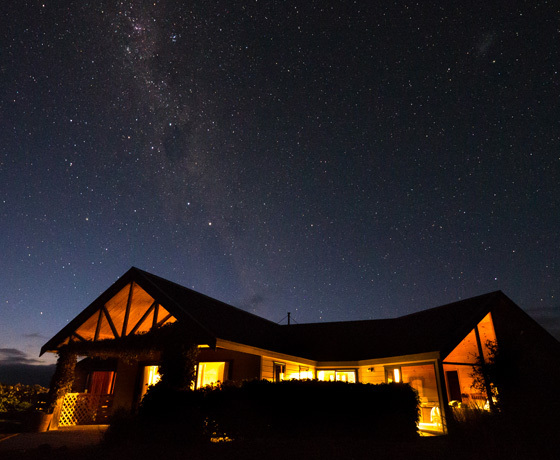 Perched on a hilltop within the Aoraki Mackenzie Dark Sky Reserve, looking towards Aoraki/Mount Cook and over stunning Lake Pukaki, the 360° daytime and nighttime views will leave you speechless. 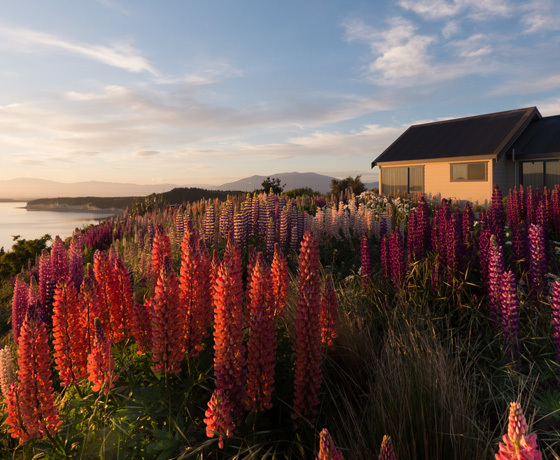 The purpose-built accommodation has five bedrooms and four bathrooms (three ensuite). 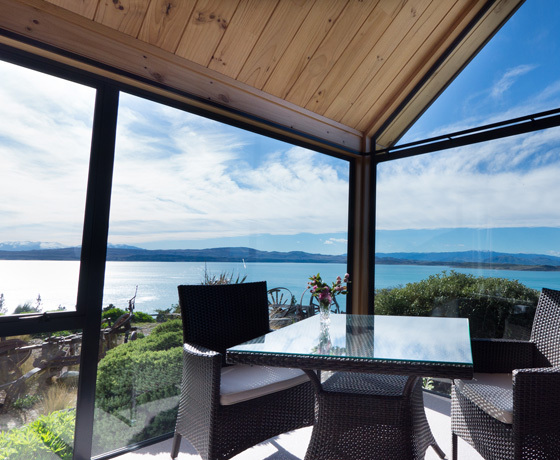 Large living areas and the bedrooms feature floor to ceiling windows to frame and capture the landscape, while multiple exit points provide access to large decking and outdoor areas. 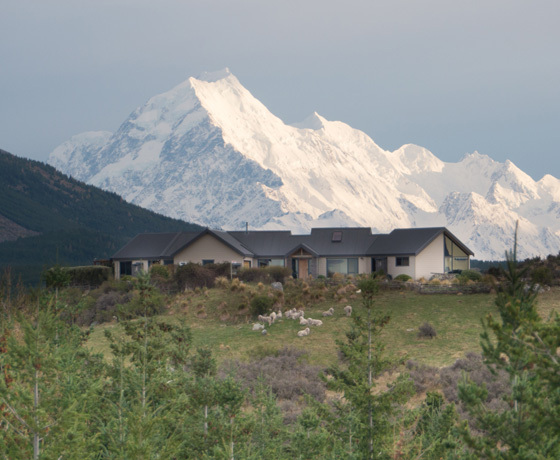 How to find Pukaki Villa? Turn off State Highway 8 onto State Highway 80 (road to Aoraki/Mount Cook). You’ll see the sign for Pukaki Lakeside Getaways on the right after 4km.